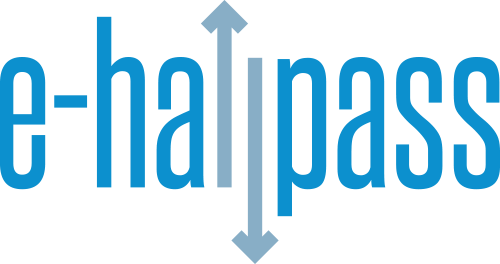 e-hallpass is a ground-breaking software solution for 1:1 or bring your own device schools, designed to modernize and simplify today’s antiquated methods of administering hall passes. EHP digitally enhances both accountability and security with easy-to-use cloud-based technology... Imagine effortless hall pass creation and approval, instant logging of time in the hall, real-time hall traffic data, and powerful student monitoring capabilities. 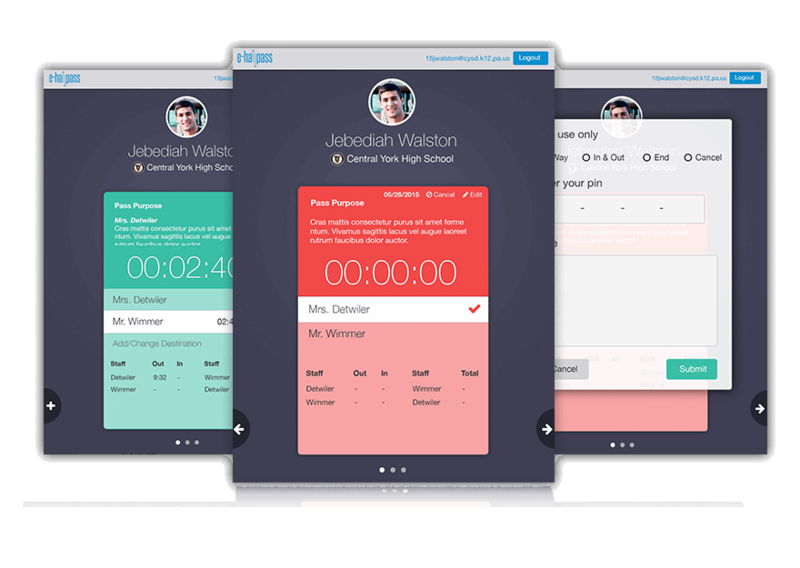 This dynamic, cutting edge dashboard captures all data related to student hall passes in order to revolutionize classroom management. Explore the possibilities, explore the future. Attention principals! Unleash the full potential of student activity periods without the headaches! FlexTime Manager (FTM) alleviates the administrative and remediation challenges associated with activity monitoring and flextime management by providing hassle-free, digital, and completely custom software solutions... FTM makes it possible for school leaders to create and select desired activities, seamlessly submit attendance data, and request face time with students requiring specific interaction. Students are instantly able to select their activities and enjoy having more voice and choice with on-the-go customization and convenience. Let FlexTime Manager start you on the path to streamlined activity monitoring and simplified school-wide communication today! 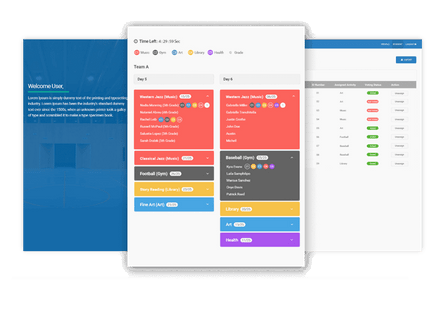 VoiceChoicer is an innovative cloud-based application which allows groups of teachers to offer multiple activity choices and let students rank their first, second and third choices. Instead of using the often unfair “first-come, first-served” basis... to assign students, VoiceChoicer helps teachers balance all selections in order to place students in their first choice activity as often as possible, maintaining fairness and promoting balance and participation throughout the school year. 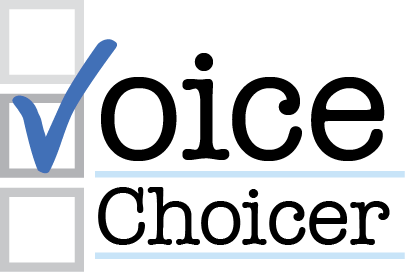 VoiceChoicer facilitates student choice, participation, positive attitudes, and ease of scheduling and organization for teachers. Through an easy-to-use interface and activity sorting system, students vote for their favorite options and are assigned to activities based on their choices. 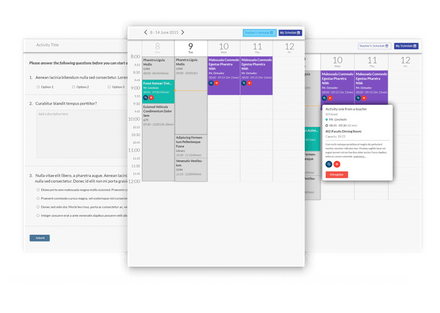 SCHedOOL is a uniquely student-centric scheduling system that allows a team of 3-5 teachers who share the same students to communicate sessions/seminars offered. These sessions can be different from day to day, free of any bell schedule, without... constraints of start time, end time, or length of period. Students are not required to fill their entire day, allowing them to create their own sessions when desired. This innovative, cloud-based application, designed for schools or classrooms with device access, facilitates customization and flexibility for both students and teachers who will enjoy the enhanced communication, ease of scheduling, and choice of activities tied to learning goals. SCHedOOL easily manages student selections and changes, but also allows teachers to override as needed. Full transparency, overview, and accountability is provided so that teachers and admins know where all students are and what they are working on. At Eduspire Solutions, we develop software and technology for schools that either are 1:1 or want to be. Designed by educators for educators, our web-based and mobile applications streamline and enhance classroom monitoring... and the scheduling of student activities. Cultivate an environment of voice and choice while alleviating the administrative burdens related to management of activity periods, attendance data, remediation, and more. 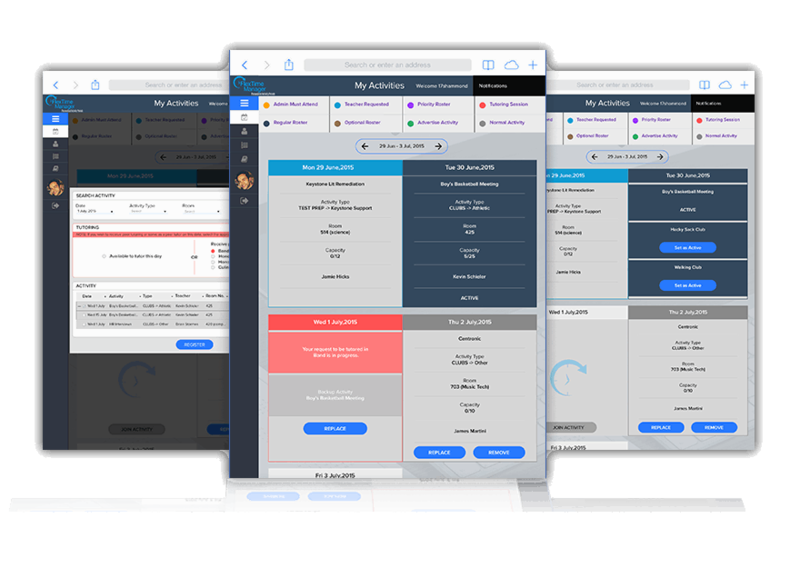 Easy to implement, user-friendly, cost-effective and customizable to school and student needs, Eduspire Solutions software can place information, communication, security, and complete administrative oversight at your fingertips with on-the-go convenience.